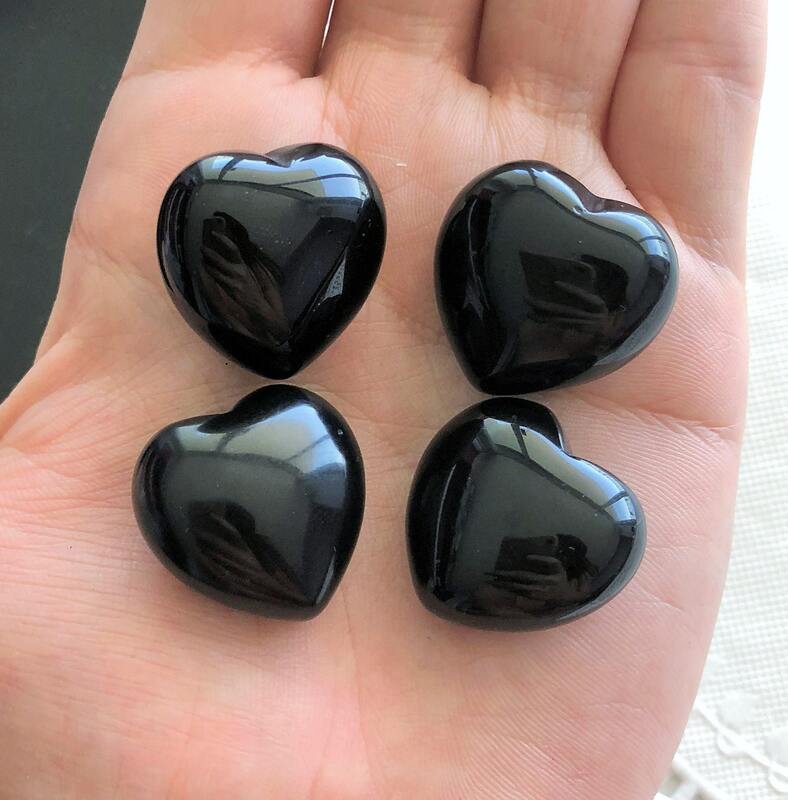 Receive this lovely polished Black Obsidian Heart. 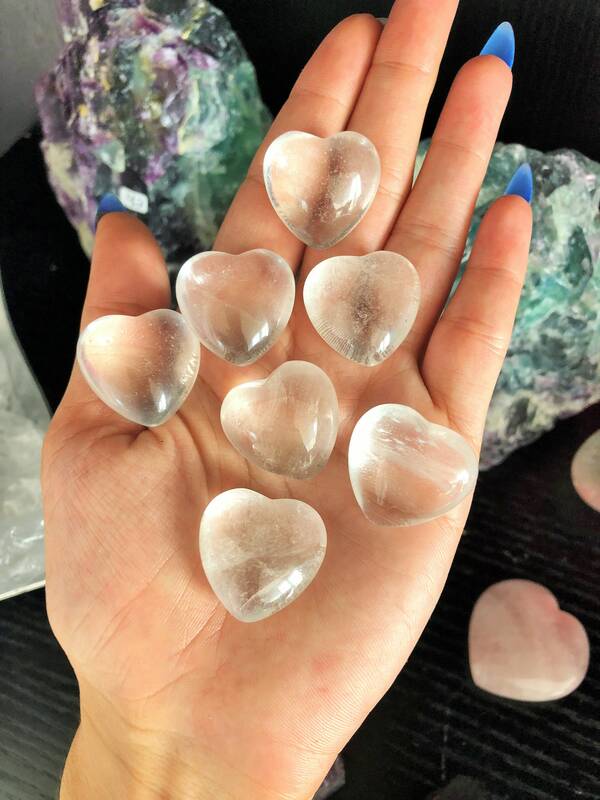 If you find yourself drawn to the Obsidian crystal stone and its intense, mysterious vibes, it could be a sign that you're in need of a deep energetic cleanse. Known as the "psychic vacuum cleaner," the Obsidian crystal is your spiritual maid service, working hard to clean up the emotional energy and debris from the past. A bodyguard to your soul, the Obsidian crystal stone also protects you from shadow traits -- addiction, fear, anxiety, and anger-- by acting as a mirror to your inner self. 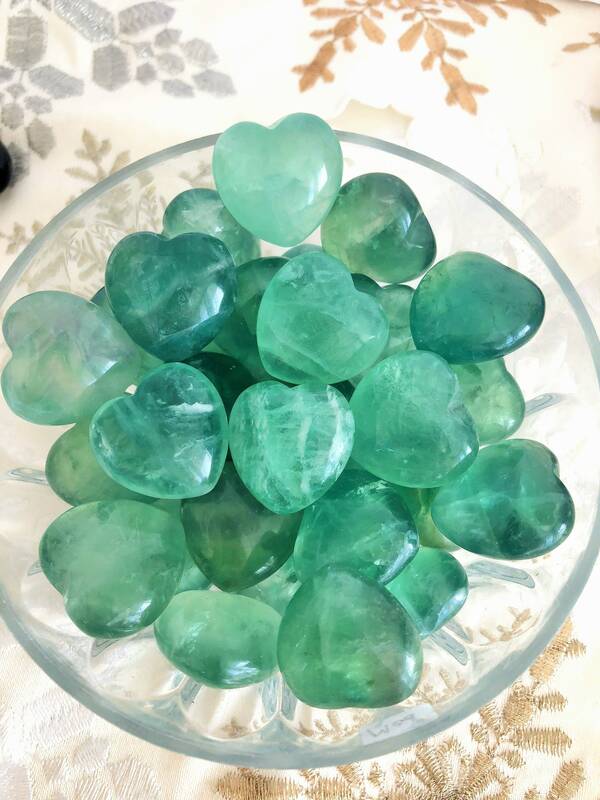 Listing includes ONE (1) heart. 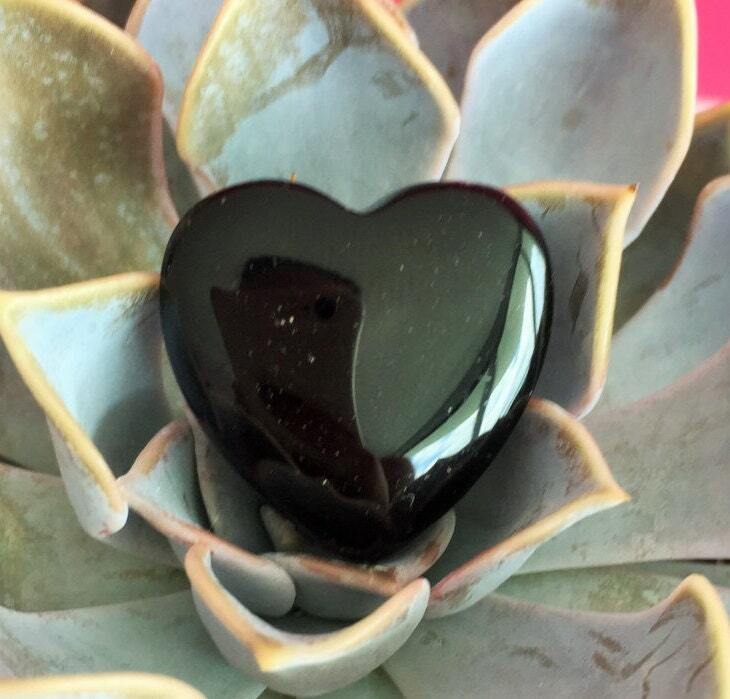 BEAUTIFUL obsidian heart. I love it. It arrived fairly quickly. The little box it came in is a nice touch. Thank you.